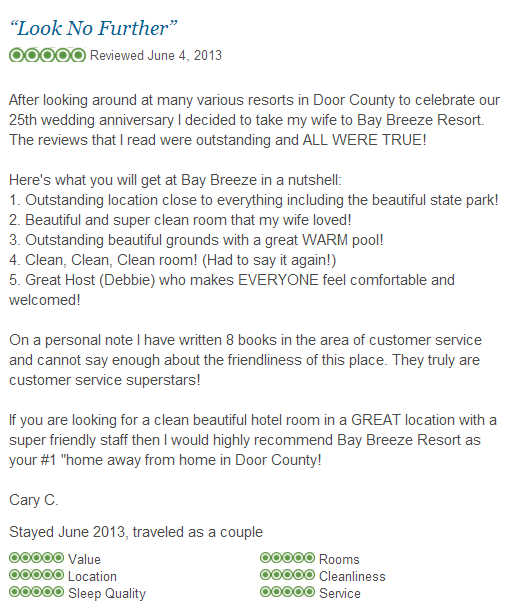 Have you stayed at Bay Breeze Resort? We want to hear from you! Please click on the reviews below to enlarge and view.